With all the recent Kindle news, I thought it might be interesting to look back at the very first Kindle and the eBook climate at that point in time . Here’s Jeff Bezos on the Charlie Rose Show in 2007 talking about the first Kindle and what Amazon was trying to accomplish. So much has changed since then, it is unbelievable! 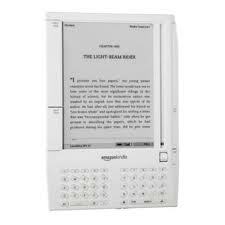 This entry was posted in eReaders, Kindle, Kitchen sink, The eReader of the Future?, The eReading Experience and tagged Charlie Rose, history, Jeff Bezos, Kindle. Bookmark the permalink.